What It’s About: Lightweight TV interviewer David Frost (Michael Sheen) engages in a prolonged game of cat and mouse while interviewing (and setting up the interviews) with disgraced former President Richard Nixon (Frank Langella). Why Watch it Today? 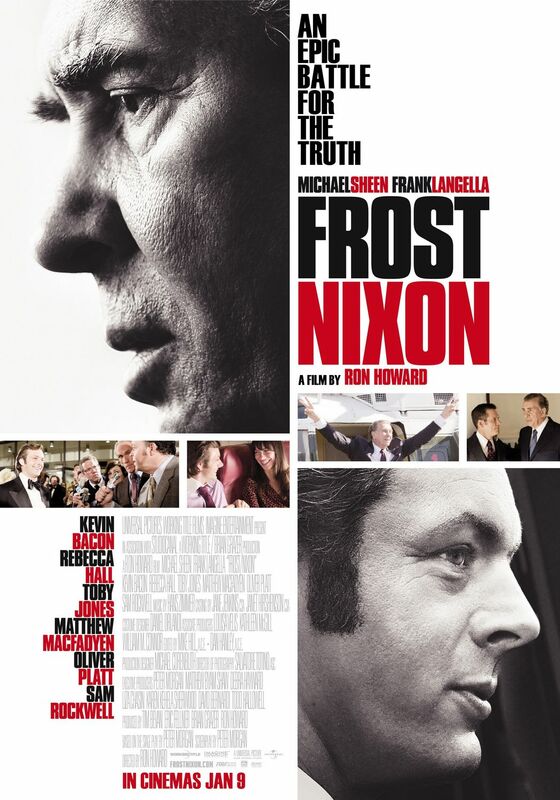 : David Frost conducted his interview with Nixon today in 1977. This entry was posted in "Based on a True Story", Adaptation, Based on a Play, Drama, Movie of the Day, Period Film and tagged behind the scenes, Best Actor Nominee, Best Adapted Screenplay Nominee, Best Director Nominee, Best Film Editing Nominee, Best Picture Nominee, Clint Howard, double cross, former child stars, Frank Langella, Hans Zimmer, Imagine Entertainment, interview, Kevin Bacon, less famous parents, less famous siblings, Michael Sheen, Oliver Platt, Oscar bait, Patty McCormack, President of the United States, Rance Howard, Relativity Media, Richard Nixon, Ron Howard, Sam Rockwell, Studio Canal, Toby Jones, Universal Pictures, Working Title Films.